You can play in English, 한국어, Deutsch, Français, Português, Español, 日本語, 中文简体, or 中文繁體. , Indonesia, ไทย. 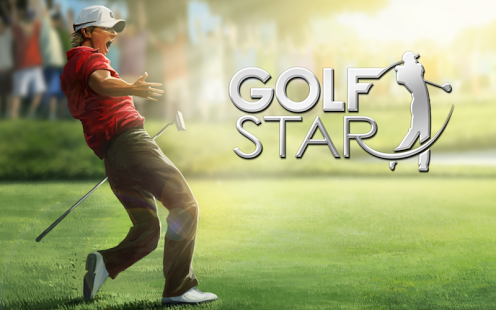 – Golf Star features stunningly beautiful graphics unlike anything you’ve ever seen before. – Experience the exhilaration of being on a real golf course! – Terrain height, ball impact angle, wind, temperature, humidity, and up to 70 other factors implemented to perfectly capture the physics of a real swing. 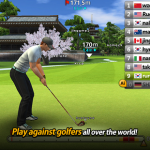 – We’ve captured the skills and techniques of real-life pro golfers. 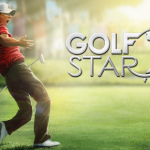 – Become a pro golfer and choose from up to 10 techniques to use, including draw shots, fade shots, and chip shots. – Career Mode: Play Single Player rounds and Quests, or compete in the NPC Tournament. – Friend Match Mode: Play against your friends in real-time! 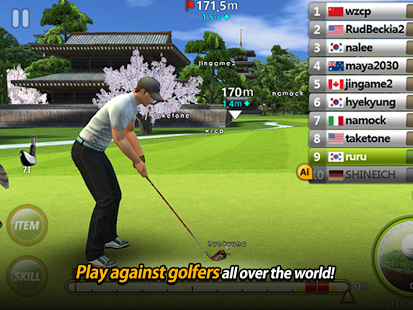 – 1:1 Tournament Mode: You can enjoy 1:1 Tournament on a real time basis with players from all around the world. – Play with different rules each time in Event Tournaments. – Skins Mode: Max. 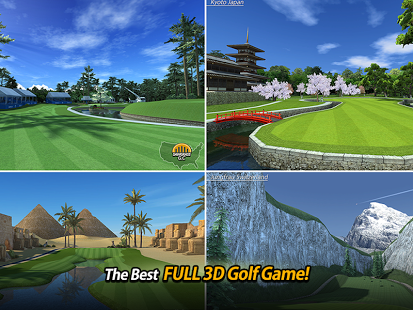 of 4 players will compete against each other to win each hole, and the winner will earn the prize money. – Participate in the weekly World Championship Match and claim victory to win awesome rewards! – Win all the major tournaments for the ultimate grand slam! – Play a new tournament every week and win prizes. 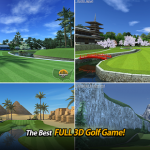 – Become the world’s greatest Pro Golfer, and achieve the Grand Slam. – Create a Guild with users from all over the world! – Work with your Guild members to become the No. 1 Guild! – Compete against other Guilds to prove your skills! – Sign a contract with famous sponsors and increase your reliability. – You’ll be able to grow faster as a golfer with great sponsors to support you! 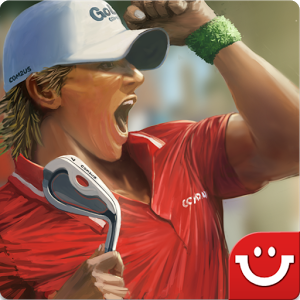 – Compete against players from all around the world and enter the Hall of Fame! 2. 1:1 Tournament match system modified. 3. World Career has been modified.